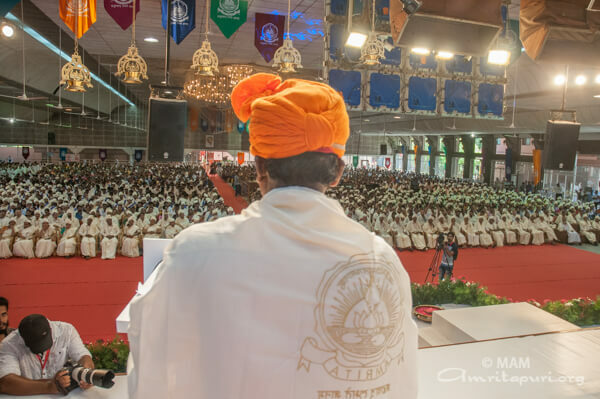 Amrita Vishwa Vidyapeetham’s 15th Annual Convocation & Graduation Day Ceremony of Amritapuri Campus saw more than 1,325 undergraduate, post-graduate and Ph. 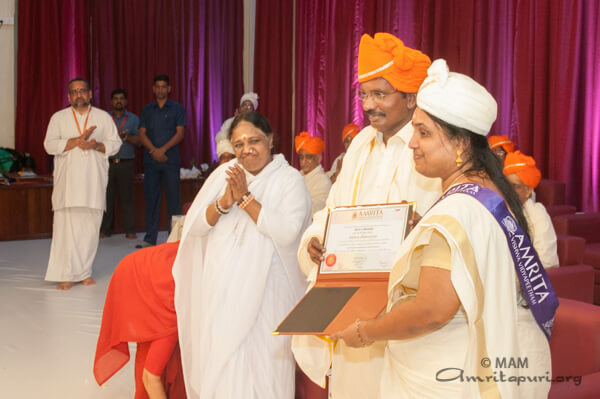 D. students attaining their degrees in the presence of both Chief Guest, Dr. K Sivan, Chairman, Indian Space Research Organisation (ISRO), and Amma, who is the also Chancellor of Amrita University, on Friday. 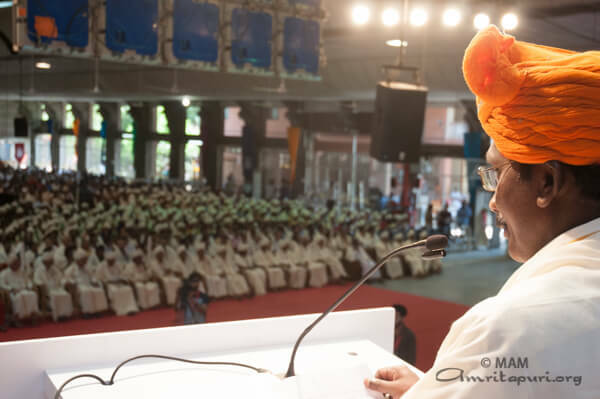 In his speech, Dr. K Sivan, Chairman, ISRO urged that each student must contribute towards the development of the nation and that this is possible only when students take up their tasks without fear of failure. 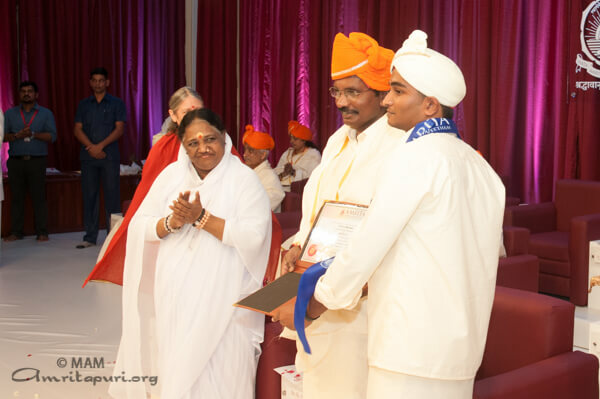 The colourful Graduation Day ceremonies started with all the students dressed in traditional golden Kerala clothing and graduation caps, participating in a procession to the Amritapuri Ashram’s main hall, where the ceremony took place. 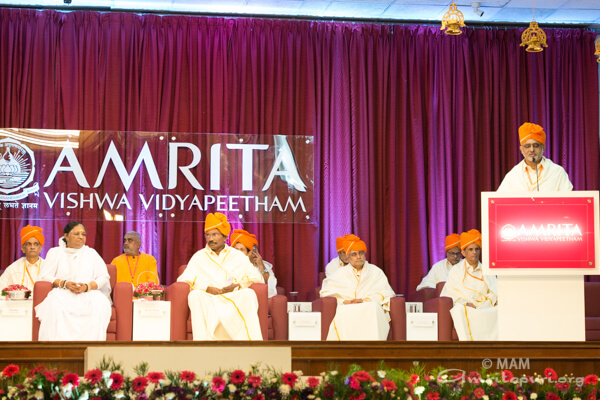 Amrita Vishwa Vidyapeetham’s President, Swami Amritaswarupananda commented in his address that the essence of society is the student community and that gaining knowledge is a continuous process. 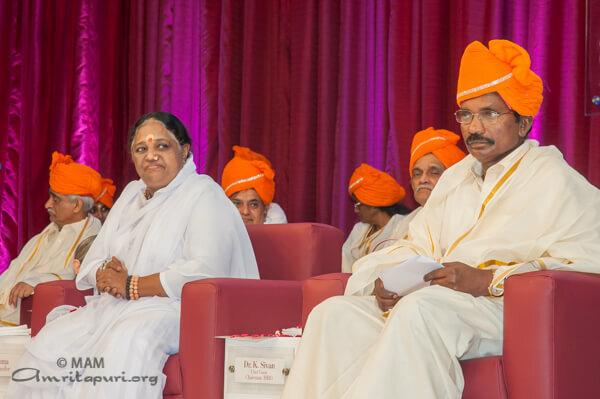 Everyone should spend each moment of his life for the betterment of the society, he said. 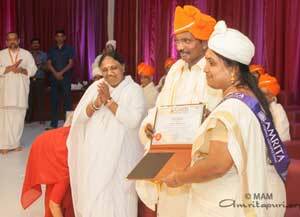 The graduates belonged to the branches of Arts & Sciences, Ayurveda, Biotechnology, Business, and Engineering. The system has been installed under the aegis of the Ministry of Earth Sciences at a cost of Rs 5 crore. 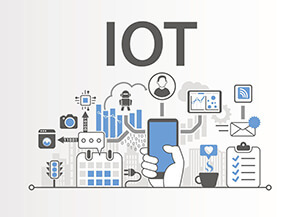 The project was given to Amrita after it successfully deployed and managed similar IoT based landslide warning system in the western ghats region of Munnar in Kerala since 2009. Beth Israel Deaconess Medical Center of Harvard Medical School has signed a memorandum of understanding with the Amrita Institute of Medical Sciences, Kochi to collaborate on research and education initiatives in critical care, pain medicine, and anesthesiology. 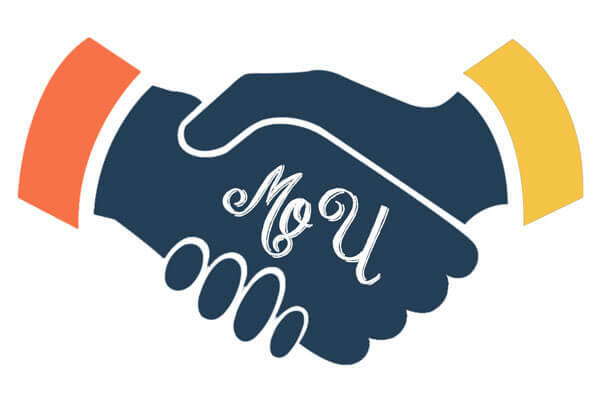 The memorandum identifies joint research and an exchange of faculty and students as areas for cooperation between the two institutions. Beth Israel is one of Harvard Medical School’s main teaching hospitals. The Harvard Medical School was ranked as the best medical school in the world in 2017 by Times Higher Education. “We are very excited about the potential of exchanging best practices and faculty as well as conducting collaborative research with Harvard Medical School. This high-profile collaboration will benefit medical education and research in India, and bring immense benefits in clinical care, basic science, public health, and multidisciplinary research,” AIMS medical director Dr Prem Nair said while signing the MoU. The first project for joint research between Amrita and Harvard will focus on sepsis. Doctors from Beth Israel Deaconess visited Amrita last week before signing the memorandum. The team comprised Daniel S. Talmor, head of the department of anaesthesia and critical care at Beth Israel, Peter J. Panzica, assistant professor of anesthesia, and Satya K. Ramachandran, associate professor of anaesthesia. 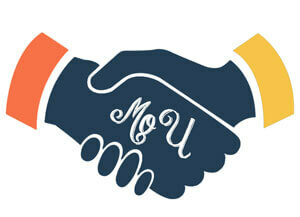 Ramachandran said the memorandum of understanding will provide a valuable source of data for future research projects. He pointed to the hospital’s digital database in particular. The Harvard team proposed to start a certificate course for postgraduate students of Amrita School of Medicine in ICU management, quality assurance and acute medicine. 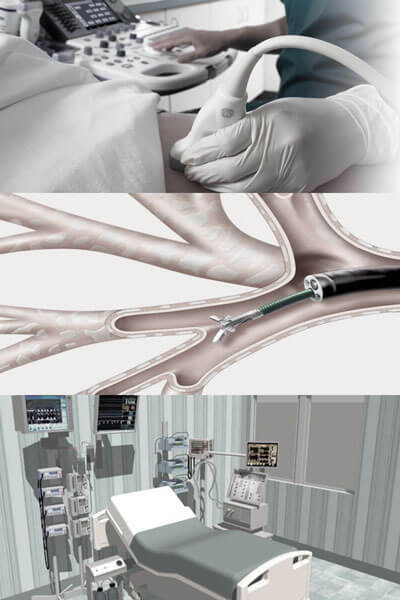 It also offered to throw open Harvard facilities to Amrita Hospital for simulation training in bronchoscopy, ultrasound, and pain management. He also mentioned the hospital’s large intensive care unit as a potential resource for research efforts. 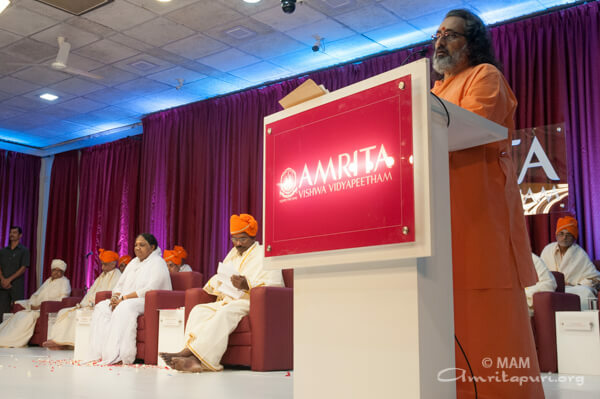 The memorandum could mean that Beth Israel will provide continuing medical education courses to doctors at Amrita. Beth Israel residents may be able to spend about a month observing patient care at Amrita as well. “We’ve run workshops and training programs for training and teaching ultrasound technology for physicians at the point of care, different kinds of ultrasound technology, different kinds of bronchoscopy techniques,” Ramachandran said. 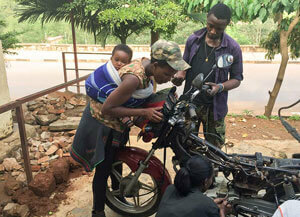 In partnership with STEP Innovations Africa, Amrita Vishswa Vidyapeetham’s Ammachi Labs initiated a pilot deployment of the computerized vocational education and training (computerized) in Motorcycle Repair Service at Integrated Polytechnic Regional College (IPRC), a premier vocational training institution in Kigali, Rwanda. This course is a self paced eLearning package developed in-house by AMMACHI Labs, aligned to national occupational standards. Complete with multimedia-rich instructional videos, interactive assessments, 3D game components and guides, the course is designed for low literacy users and with no prior experience in automotive repair. 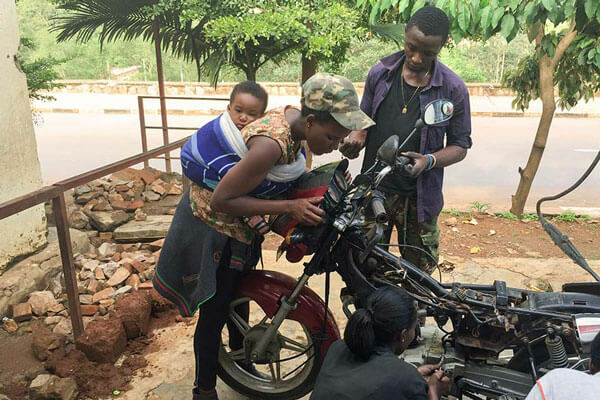 Students in Rwanda felt empowered by this course and look forward to more opportunities from Amma’s team. 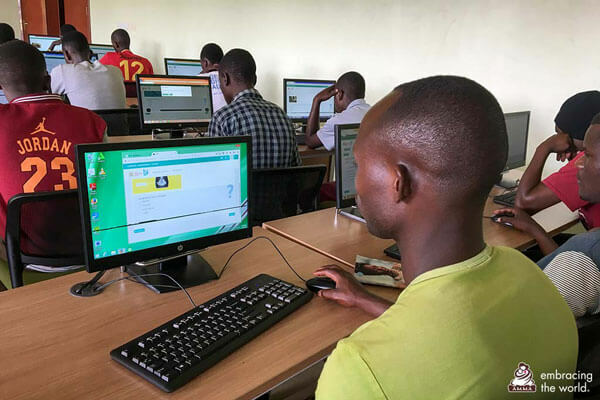 25 people from two separate locations took part: 20 students from the Integrated Polytechnic Regional College (IPRC), a premier vocational training institute in Kigali, and five students from the Circle de Sportiff slum, located in the city’s outskirts. “Thank you for your cause to teach us. I tell again, thank you so much because even if you go, we know you will come back to Rwanda. 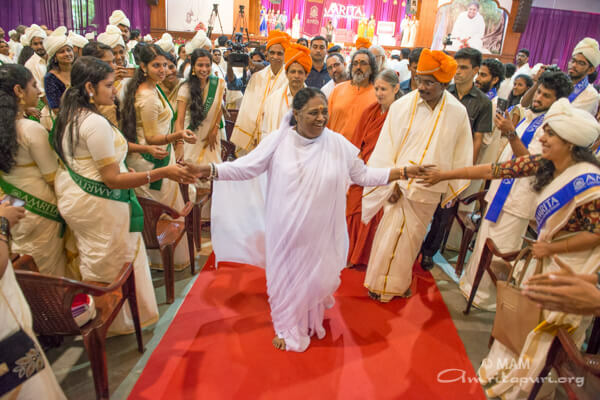 We, the students of motorcycle repair would also like to deliver a message to Amma: We greet you. And we love you, even though we’ve seen your picture only. 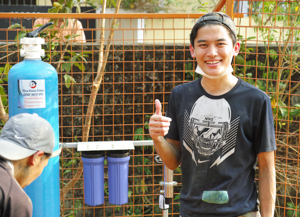 We don’t know you face to face, but we love you so much because of your work and the things you do in the other countries. That’s why we wish to see you in our country, in Rwanda. 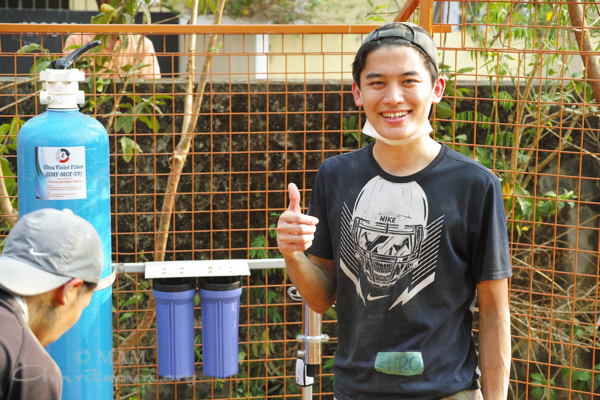 Thank You.” -Deborah S. (student). 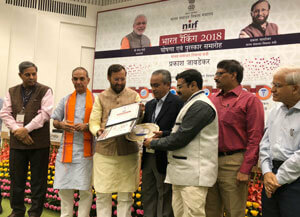 Amrita Vishwa Vidyapeetham has emerged as the 8th best university in the National Institutional Ranking Framework (NIRF) Ranking 2018 for Indian Universities, that was released by Prakash Javadekar, the Minister of Human Resource Development. 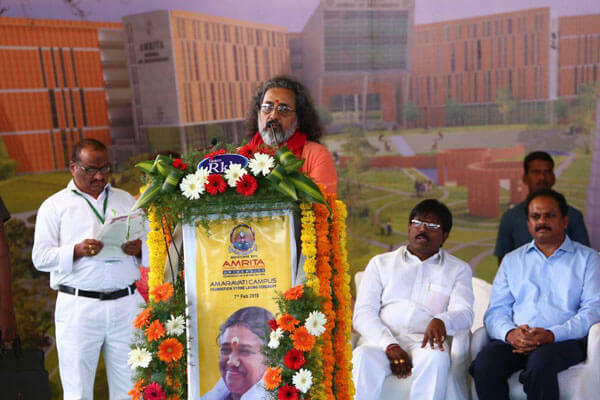 “This is a testament to the tradition of academic excellence, outstanding faculty and world-class infrastructure that Amrita Vishwa Vidyapeetham is known for since its inception in 2003” said Dr P Venkat Rangan, Vice Chancellor, Amrita Vishwa Vidyapeetham. 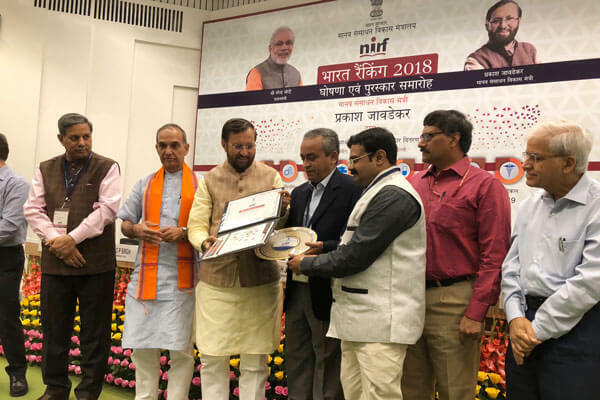 On behalf of AMRITA, Dr Sasangan Ramanathan, Dean-Engineering and Prof. Prashant R.Nair, Vice-Chairman, Internal Quality Assurance Cell (IQAC) received the ranking certificate from the Union HRD Minister, Sh. Prakash Javadekar. 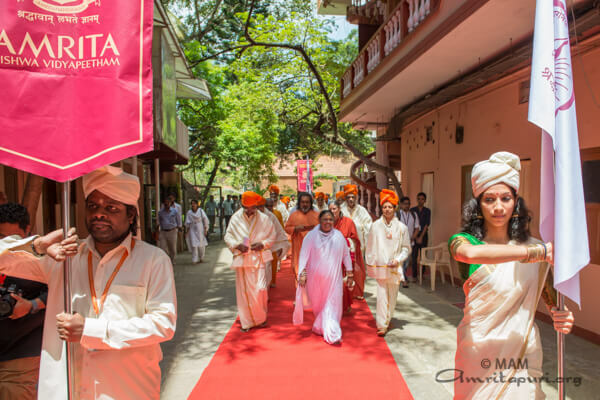 Amrita Vishwa Vidyapeetham, which is only 15 years old, has been ranked the 8th best university in India behind well-established public institutions. 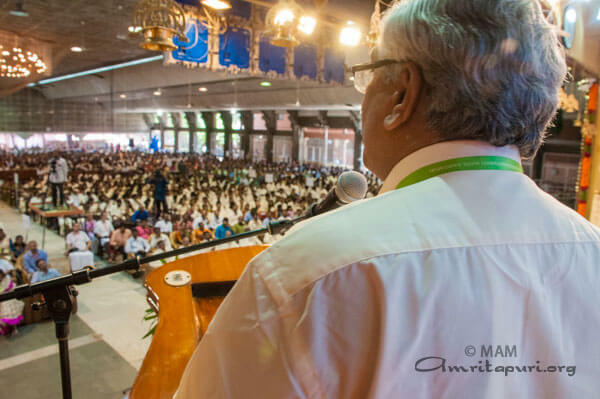 Amrita Vishwa Vidyapeetham, with 20,000 students and 1800+ faculty (including about 200 international faculties), is a multi-campus, multi-disciplinary research university that is accredited with ‘A’ grade by NAAC and also ranked high by international ranking agencies such as THE, QS, etc. 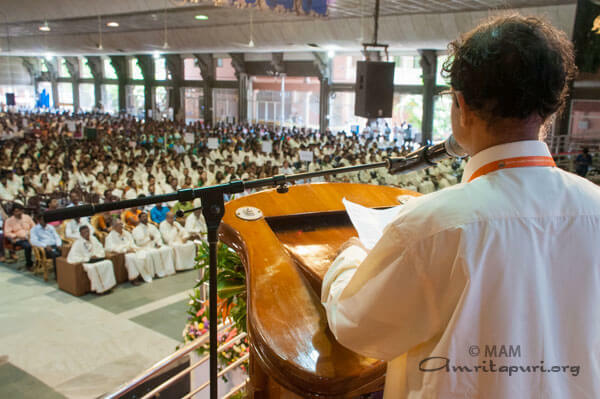 The University is currently spread across five campuses in three states of India – Kerala, Tamil Nadu, and Karnataka, with the University headquarters at Coimbatore, Tamil Nadu. 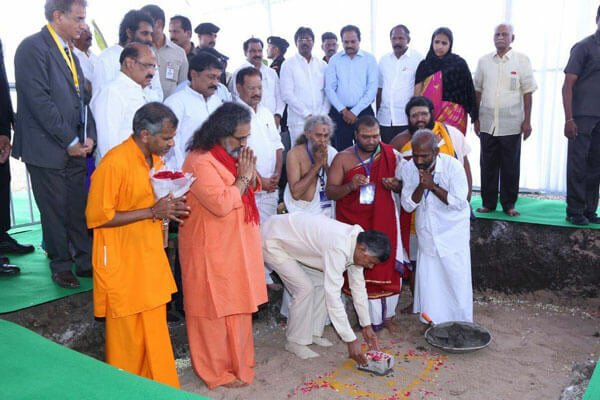 The foundation stone for its upcoming campuses at Delhi and Amaravati have been laid recently. 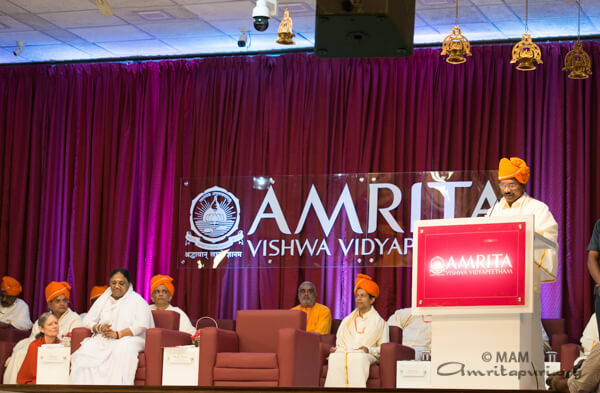 Amrita Vishwa Vidyapeetham continuously collaborates with top US institutions including Ivy League universities and top European universities for regular student exchange programs and has emerged as one of the fastest growing institutions of higher learning in India. 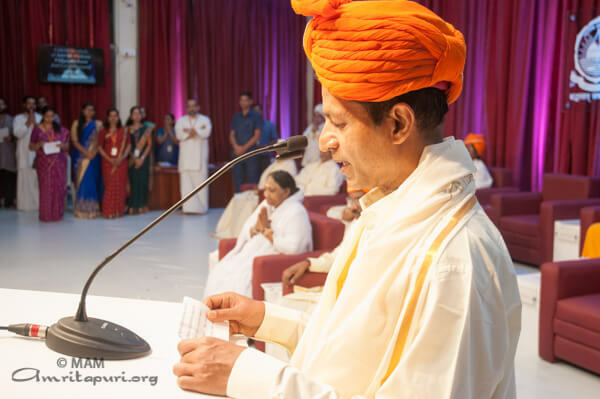 Andhra Pradesh Chief Minister Sri. 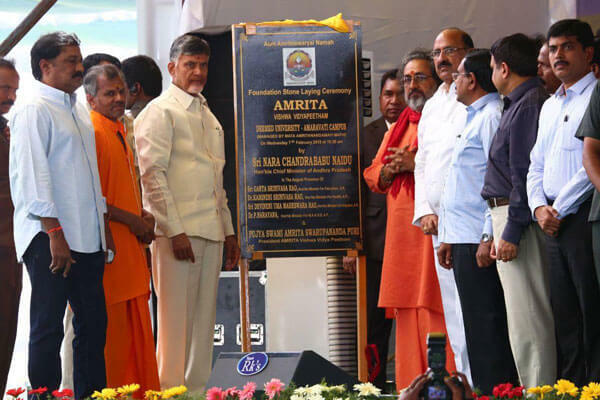 N Chandrababu Naidu today laid the foundation stone for Amrita Vishwa Vidyapeetham’s 200-acre campus at Amaravati, the defacto state capital. 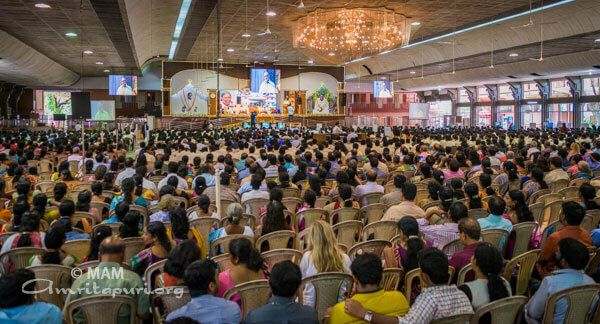 Over the course of two decades, the new facility will see an investment of more than Rs 2,500 crores. 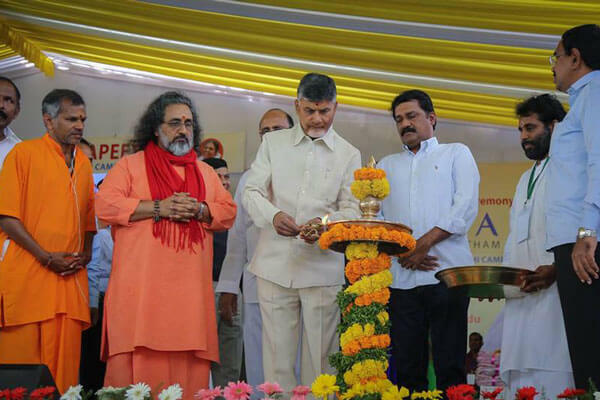 The Amaravati campus, once completed, will offer the full complement of courses including Engineering, Management, Medicine, Humanities, Arts & Sciences, Bio-Technology, Nanosciences, Philosophy, Yogic Sciences, Ayurveda and other upcoming technologies. 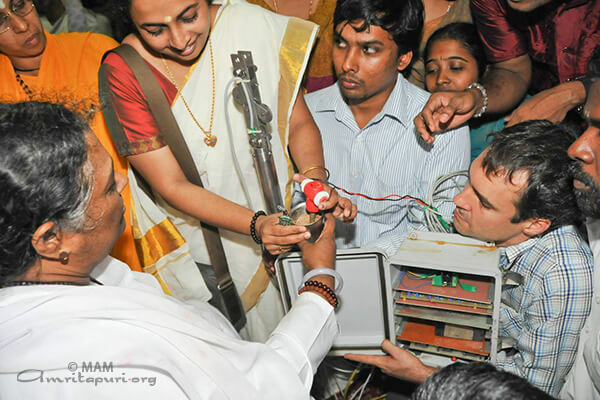 It will have state-of-the-art infrastructure, having tie-ups with top-ranked universities globally. 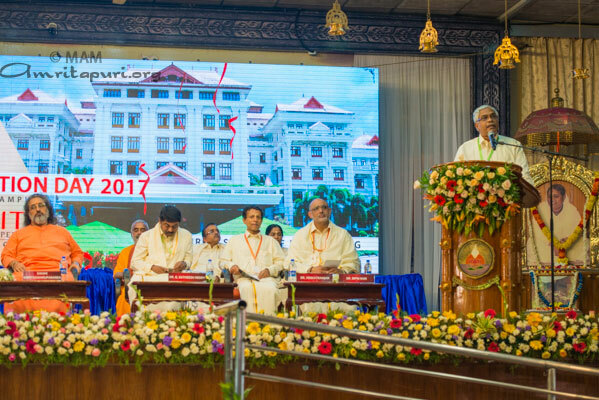 “As a top-ranked deemed-to-be university, we feel immense pride and joy in expanding our geographical footprint to Amaravati, which will be our seventh campus. 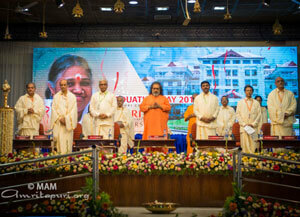 It will impart education for life, not just to make a living,” said Dr Venkat Rangan, Vice Chancellor of the University. 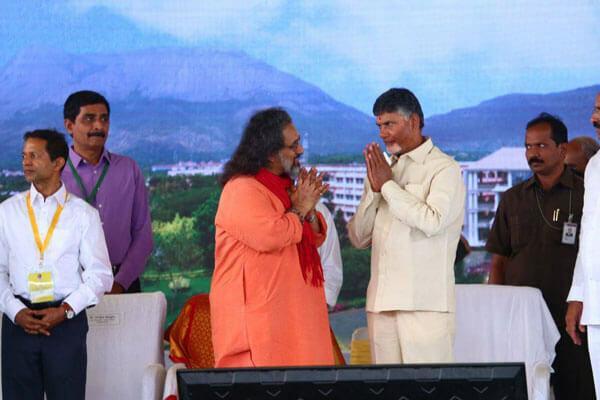 “The Amaravati campus will be constructed in two phases – the first phase will comprise 150 acres and the second phase, 50 acres. Admissions will begin in 2018 for courses such as Computer Science, Information Technology, EEE and MBA – HR, Finance, Marketing, Production, Operations and strategy. By the year 2020, we expect to reach 2,000 students, starting with 300 in 2018. 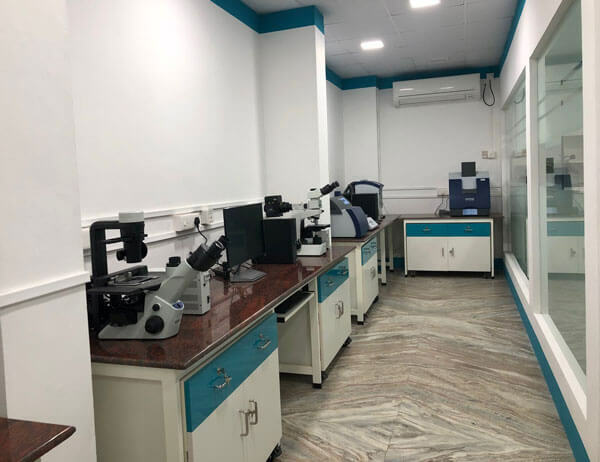 It will have state-of-the-art R&D centres doing cutting-edge research in frontier areas of technology, with a particular focus on societal benefit. 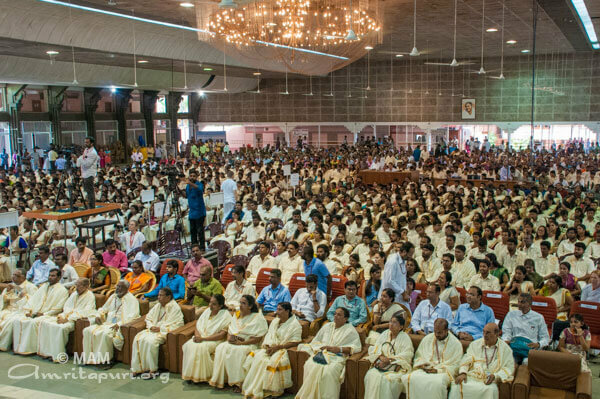 To ensure academic excellence, the ratio of students to faculty will be kept at 10:1.” said& Br. 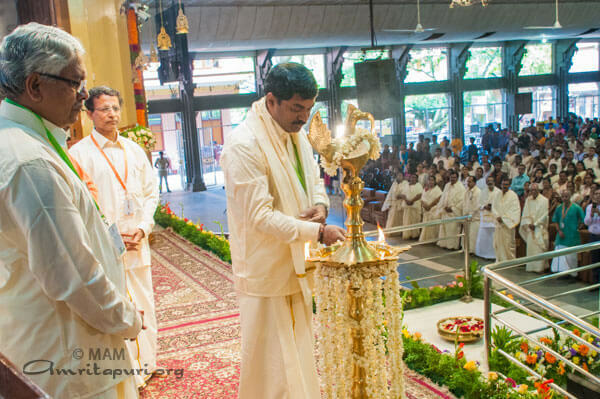 Sadasiva Chaitanya, Director of Amaravati Campus. 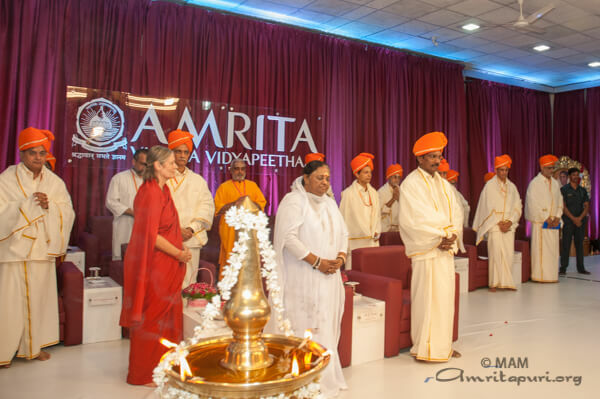 Amrita Centre for Advanced Research in Ayurveda (ACARA) Laboratory at Amrita School of Ayurveda of Amrita Vishwa Vidhya Peetham, has been set up with the blessings of Amma. 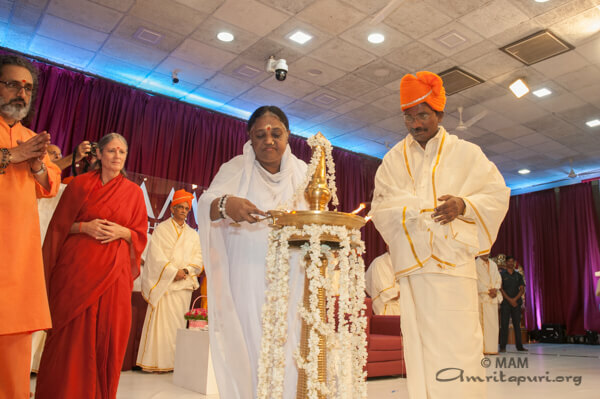 Inspired by Amma’s vision to foster the global acceptance of Ayurveda through world-class multidisciplinary research, the lab is constructed. 1. 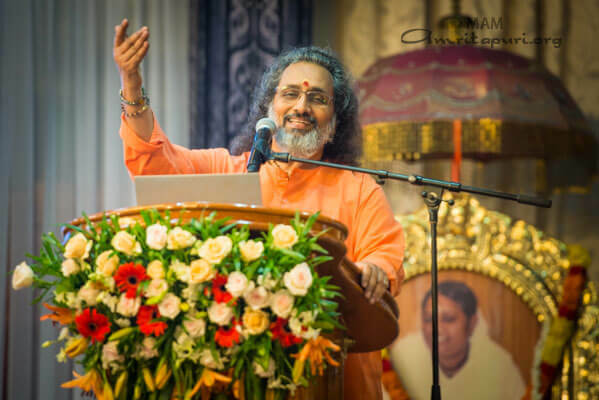 Understand the mechanism of action of Ayurvedic medicines. 3. 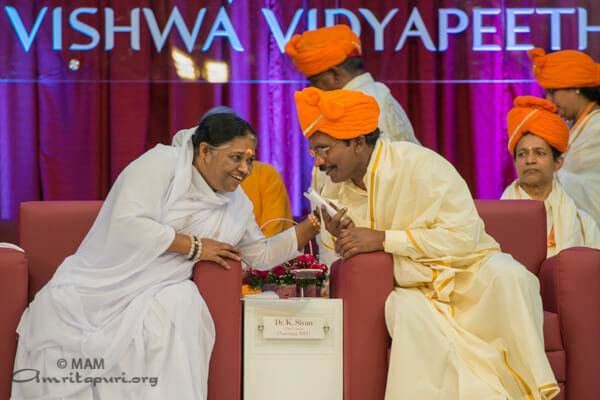 Interactions between Ayurvedic medicines and allopathic medicines can be checked. 4. The presence of heavy metals in Ayurvedic medicines and also to check their quality and consistency. 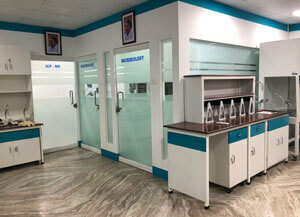 In the first phase of its operations, the ACARA Laboratory has acquired over 30 instruments to set up facilities for Chromatography (HPTLC), Mass Spectrometry (ICPMS and LC MS/MS), Microbiology, Cell Culture, Gel Documentation, Genetic Studies, Fluorescent Microscopy and other Analytical Techniques to test quality of Ayurvedic medicines. 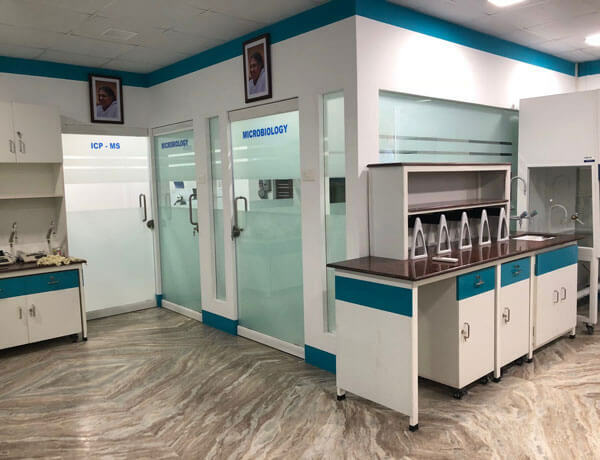 This lab will cater to the needs of Ayurveda PG and PhD Scholars for the pursuit of their research projects, Scientists and researchers interested in multidisciplinary research in Ayurveda, Clinical researchers in the field of Ayurveda as well as the Ayurveda Pharma Industry. 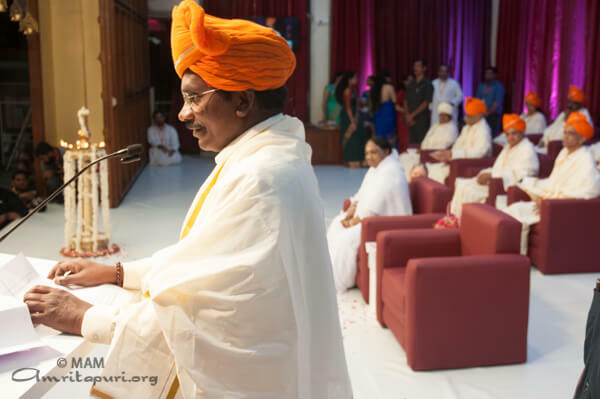 The new lab was inaugurated at Amrita Shcool of Ayurveda in Amritapuri on 15 December 2017. 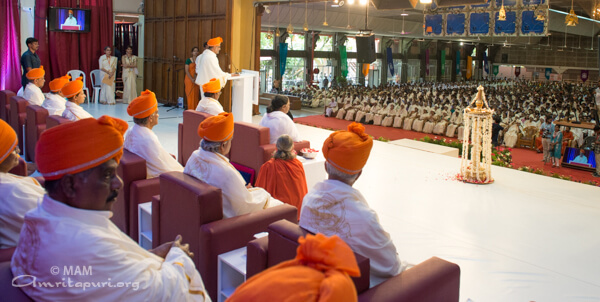 The graduation day for Amrita University’s Amritapuri Campus was held at the Amritapuri Ashram today, in the Darshan Hall. 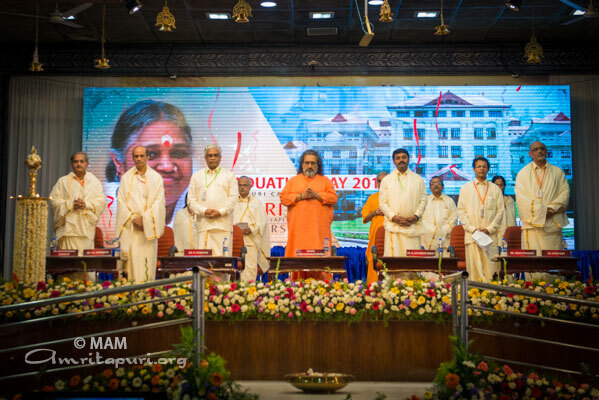 There were 1424 graduates from the Schools of Ayurveda, Biotechnology, Business, Arts & Sciences and Engineering, to receive their graduation certificates after successfully completing various degrees – PhD, MD, MBA, MSc, MCom, MA, MSW, MCA, MTech, BAMS, BSc, BBA, BCom, BCA and Btech. 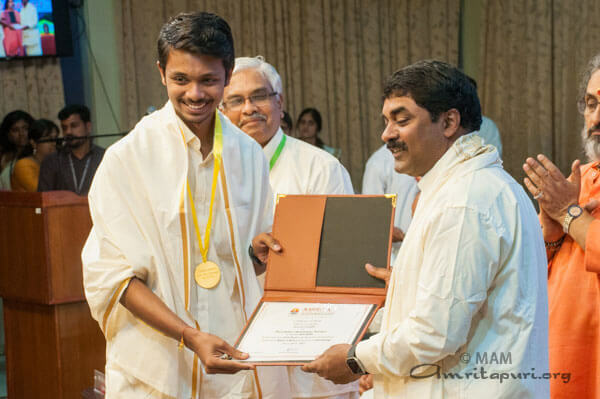 Award of PhD degrees and award of Gold & Silver medals and Certificate of Merit for the University toppers from various batches were given out by Dr.M.Rajeevan, Secretary, Ministry of Earth Sciences, Govt of India, Dr.G.Satheesh Reddy, Scientific Advisor to the Defense Minister & Director General of Missiles & Strategic Systems, Govt of India and Swami Amrita Swarupananda Puri, President of Amrita University. 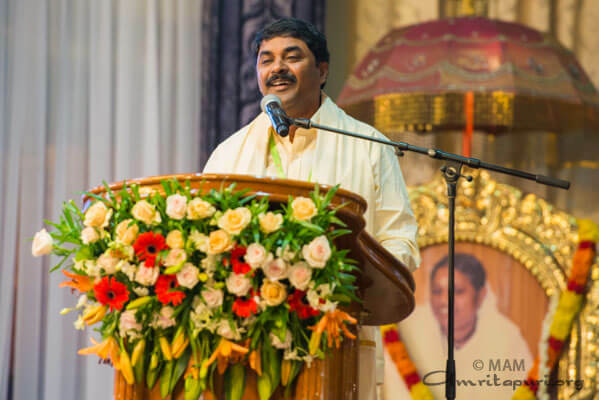 Dr G Satheesh Reddy, Scientific Advisor to the Defense Minister & Director General of Missiles & Strategic System inspired the students with these words “We need to do a lot more research in science and technology and come out with many more solutions. The world is moving very fast. Unless, we come out with innovative research, innovative product and innovative technology, we wont be standing in the world today. This innovation has to come from the University. Universities should be the engines of innovation. 1) Feeling excited and then dissipated is becoming a DNA thing with this (facebook) generation. 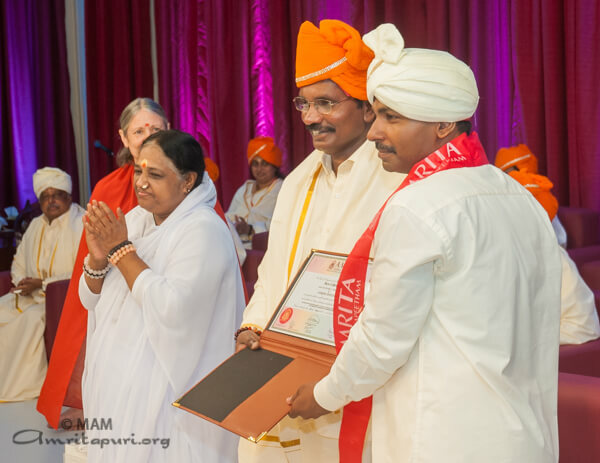 In most time, our celebrations are outside without feeling real celebration within. 2) The current generation communicates a lot through emojis and sms language. Using the medium of language, expressing through proper words or from the heart is surely much better. When it comes to sharing deep emotions like love, joy, sorrow write them in a proper manner. One may otherwise lose the skill to communicate and to open up the heart. 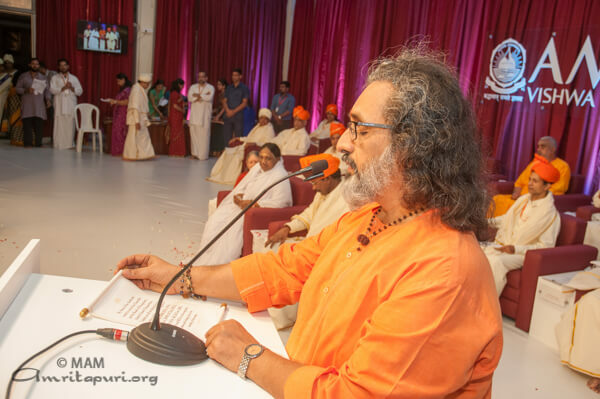 3) Always use your power of discernment or discriminative intellect before arriving at a conclusion or taking a decision. Freedom is not a license to do anything – but freedom’s true meaning is flexibility. If you are afraid of being in a structure, it is not freedom at all. Home is the source of mental and physical wellbeing. Always love, respect and serve your parents who sacrificed their entire life for you. 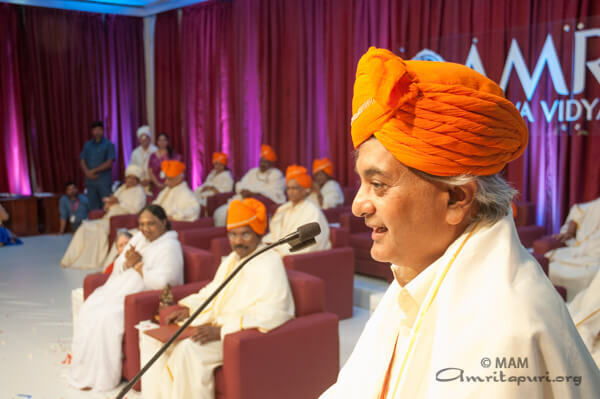 4) Our society is a result-oriented society, a what-is-in-it-for-me scenario. 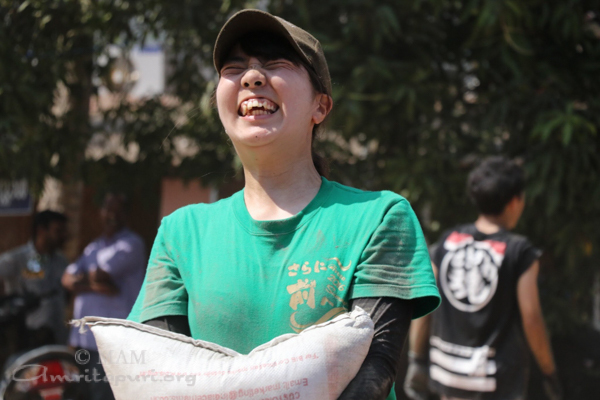 Become action-oriented rather than result-oriented. 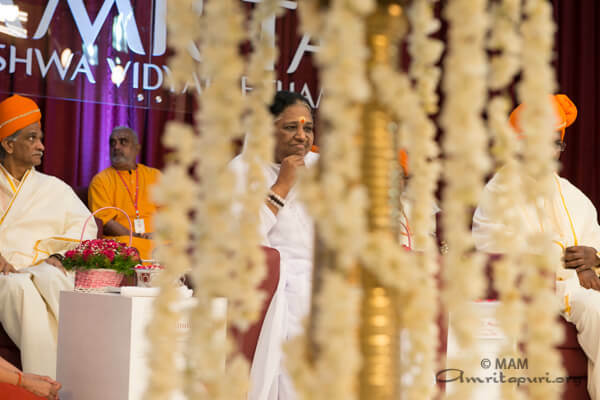 That is why Masters like Amma say Live in the present. 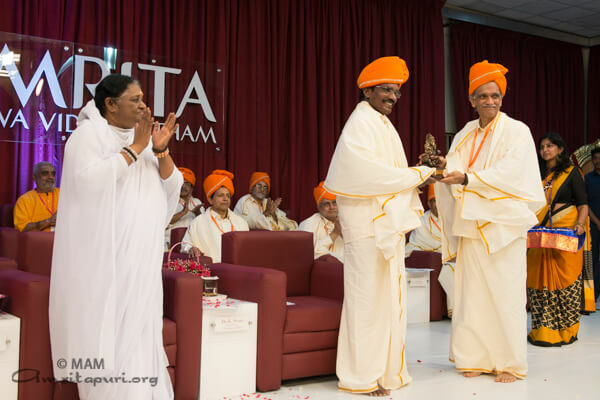 Swamiji, quoting Bhagavad Gita, also reminded that the mind is the friend of the conditioned soul and its enemy as well and highlighted how Amma had gone against all odds to conquer and achieve through her love and selfless actions. 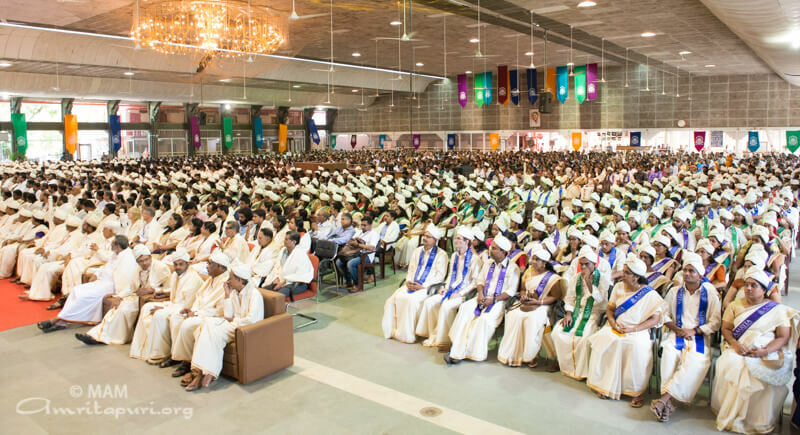 This is the first time that the convocation ceremony is happening at Amritapuri, since Amrita University’s first batch of graduates 13 years ago. 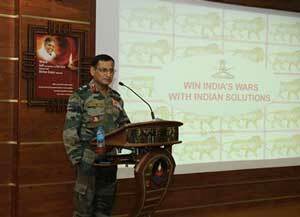 Amrita University faculty members and researchers met with a delegation of the Indian army for developing lightweight bunkers, smart hybrid power sources in the field and bio-friendly waste management systems among other solutions. 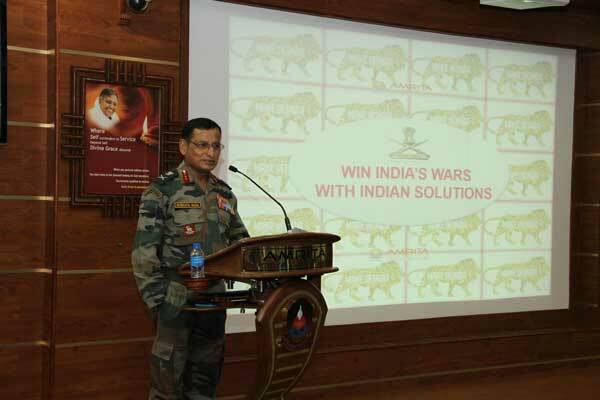 Faculty members of Amrita University Coimbatore made a series of presentations to a team led by Lt Gen Subrata Saha, DCOAS (P & S) on solutions to some of the problems faced by troops in the field. 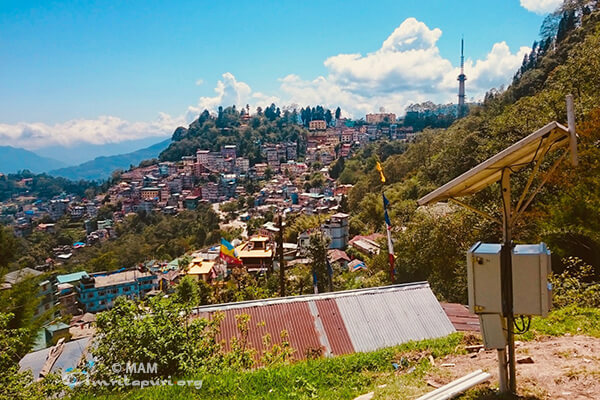 This was a follow up to the field visit undertaken by a group of Professors, PhD Scholars and Industrialists to the Sikkim Sector in November last year. Earlier in June 2016 similar field trip had been sent to Kashmir, which yielded some good solutions and ideas. Seven teams lead by heads of faculties from the Amrita University presented a range of solutions from light weight, high strength construction material too high density batteries specifically designed for very low temperatures.